Travelling light is the modern way; a well equipped climber rocking up at the crag these days will be carrying a rack and rope set up that could be half the weight of what was the norm twenty years ago. 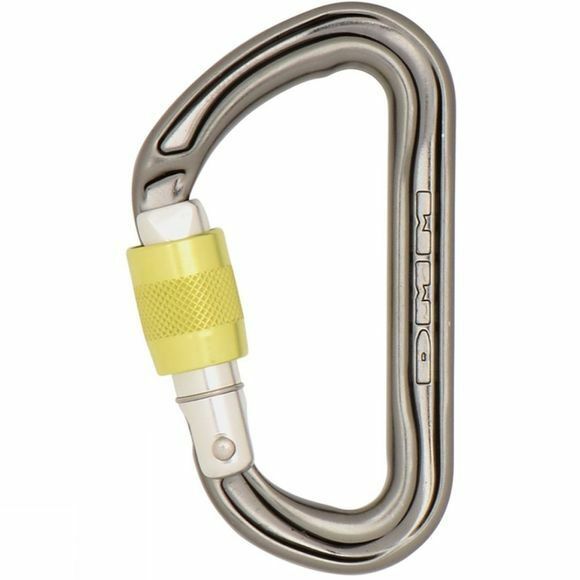 This mighty shift in climbing gear standards has been made possible by radical products such as the Phantom Screwgate. This is a super light, I-Beam construction locking biner, which DMM feel is the ultimate trad and alpine climbing Screwgate. Lighten up your rack with a few of these beauties and you will really start to feel the difference.